IPVanish is our Number 1 recommended VPN provider suitable for a range of purposes. Dedicated app for Amazon Fire TV. No server expansion in the last 12 months. IPVanish has been at the forefront of the VPN industry for the past few years and has grown into one of the biggest and most well-known providers. In recent years we’ve found IPVanish to offer one of the best services. The VPN industry moves fast though and it’s easy for providers to fall behind. 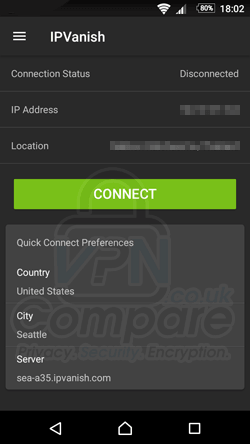 In this IPVanish VPN Review 2018 we’re taking a look at the service to see if it’s still as good as it has been in previous years. IPVanish hasn’t changed too much in terms of packages available in the past few years and the selection remains the same. There is one type of package which varies only by the length of time you subscribe for. It’s worth noting that when taking a yearly subscription the service is almost 40% cheaper than when paying on a monthly basis. For this reason, it’s our recommended subscription length. You can save a further 25% off the IPVanish service by using the special link below. IPVanish offers access to the standard range of VPN protocols which include PPTP, L2TP and OpenVPN. Regardless of how long you subscribe for all protocols are available. Without a doubt the standout feature on the IPVanish service is the fact they store no logs whatsoever of what you do while connected. While many VPN services claim to store no logs the usually mean activity logs and do retain details about what time you connected, what server you were assigned and how much data you transferred. IPVanish store no such logs, also known as metadata. So not only is your usage not logged, but neither are any of your connection details. IPVanish offers access to VPN servers in more than 60 countries across the world and has more than 1000 VPN servers in operation. There are more than 40,000 IP Addresses available on the service which are Shared IP Addresses. This means other users can be connected with the same IP Address adding a greater layer of security. We were a little disappointed to see that IPVanish has added no new locations throughout the whole of 2017 and so still has the same country count in 2018 as last year. Saying that 60 countries is a good number of locations and covers all major areas including North America, Europe, South America and Australasia. Although we would hope for new additions it’s still more locations than many other providers. Africa on a whole is a little under-resourced which is quite common in the VPN market, but there are VPN servers in South Africa which should be suitable for many users. IPVanish allows you to use the service on up to 5 devices at the same time. There are no limits on how many devices you can install the service on or limits on the number of different types of devices. This is at the higher end of the scale in comparison to other providers so it’s certainly a bonus of the service. One development since we last reviewed IPVanish was they released a dedicated Amazon app. If you’re a Fire TV or Fire TV Stick user then this feature alone is worth its weight in gold. If you use Kodi on either device you’ll now be able to protect your privacy and access blocked streams and add-ons. While some VPN providers Android apps semi-work when installed indirectly on Fire TV devices, IPVanish’s offering is a dedicated app. This ensures it works perfectly with Amazon devices. Private DNS Servers are in use on the service when using IPVanish’s apps which protects the names of the URLs you access. This ensures that your ISP or third parties can’t record the websites that you visit. Apps are available for Android and iOS devices such as the iPhone and iPad. The apps aren’t necessarily the best visually but they are functional and work incredibly well. From the main app screen you can simply just connect letting the app do all the hard work such as choosing the best server for you. If you want a little bit more customisation then this can all be done from the main screen. You can select Country, City and even an individual Server all from the main app window. Behind the scenes there’s an advanced server list that allows you to see both the Ping and Load of individual servers in any country. The Android app makes use of OpenVPN only but allows you to switch between TCP and UDP protocols. We really appreciated the Scramble feature that allows you to break through restrictive firewalls. If you’re connected to a restrictive network or you’re travelling in a country with highly censored internet then this feature will help you bypass the blocks. You can also change the port and have the IP Address change automatically for you at set intervals. We had no issues running the IPVanish app which remained connected even when switching from Wi-Fi to mobile data. We experienced no connection drops while using the app and found it to be robust and efficient. The IPVanish desktop and laptop apps are available for both Windows and Mac OS as a direct download from the IPVanish website. Their design is similar to that of their mobile counterparts so it’s easy to move between the both. The desktop version of the app is essentially the bigger brother with more features. From the main screen you can connect quickly without doing anything. If you need to connect to a specific country, city or even server then this is all accessible from the main window. The rest of the desktop app main screen is taken up by connection information. Along the side the main screen is further sections for server selection which allows you to select a server by List, Map or Filter to find a specific server. From the side panel you can also check your account status or access advanced Settings. The Settings area allows you to customise the automation of when the app launches and connects. You can select from the range of VPN protocols and unlike the mobile apps the full suite of PPTP, L2TP and OpenVPN are accessible. There’s IPv6 Leak Protection, DNS Leak Protection and a Kill Switch which can all be enabled / disabled from within the settings area. 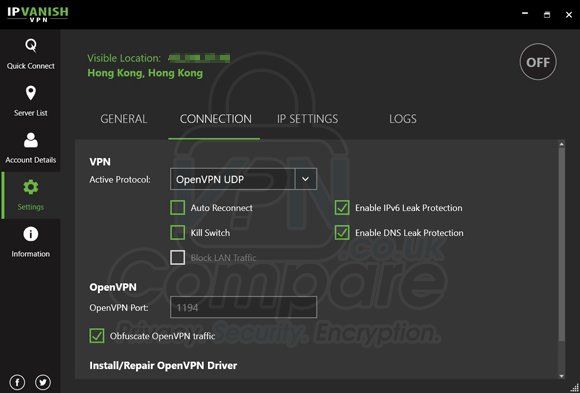 There’s an additional option to Obfuscate OpenVPN traffic which will hide the fact you’re using a VPN and help you bypass restrictive networks or in countries that attempt to block internet use. This is the same as the Scramble feature on the mobile apps. The IPVanish desktop app is pretty much the same as last year. It hasn’t changed much visually but it works well and it has all the advanced features you’ll need to protect your privacy. 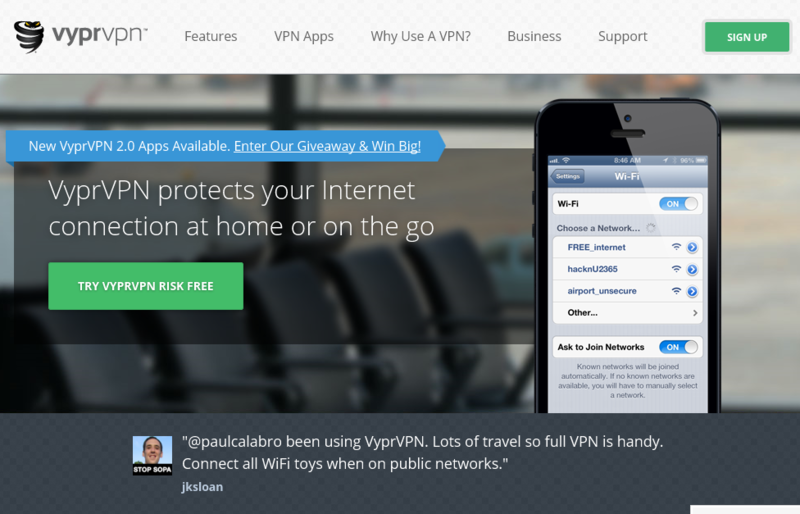 IPVanish is without question one of the fastest VPN providers in the industry. In the UK they’re especially good and we had no trouble getting top speeds on a 200 Mbps Virgin Internet connection. Servers further afield in the Netherlands and Switzerland also yield good results if you want to hop out of the UK for privacy purposes. We tested IPVanish for a range of purposes from everyday browsing staying connected on a more permanent basis to more intensive tasks. Downloading from torrents and newsgroups showed no issues, nor when streaming high quality video content. If you’re into crypto-currency then we found updating blockchains from scratch for Ethereum to cause no issues. We also tested the IPVanish service in Australia and Thailand using a range of local servers in Sydney and further afield such as Hong Kong when in Thailand. We experienced no noticeable speed issues. Encryption at IPVanish has been at the high end of the scale for some time. While there have been no improvements through 2017 to 2018 in terms of encryption it is more a case that other providers were playing catch-up while IPVanish was leading. OpenVPN makes use of 256-bit encryption with a 2048-bit RSA key for handshaking. We would have liked to have seen this handshaking key improve over the past few years but it’s still on par with what most other providers are offering at this time. Interestingly IPVanish has moved from using AES-256-CBC to AES-256-GCM when using OpenVPN via their desktop client. If you’re interested in encryption then it’s worth checking out this article to find out more. It’s worth familiarising yourself with these before using the service to ensure it’s to your liking. IPVanish has been an industry leader for many years. Their service has always been ever so slightly ahead of the competition and with competitive prices, it made sense to sign-up for their service. While there haven’t been too many developments at IPVanish over the past 12-months it’s still the case that they offer a robust, reliable and fast service. We especially like the fact they store no logs and when they say no logs that includes both usage and connection data. Many VPN providers retain connection data so this fact alone makes the service stand out. We would have liked to see a few developments this year such as the introduction of some new server locations and even a little boost in encryption on the handshaking front. The apps and software are easy enough to use and connection can be made quickly and without fuss. If you need more customisation then it’s available behind the scenes and the apps have added value features such as a kill switch and leak protection for a number of issues. We’ve used IPVanish in a range of countries from the UK to Australia and Asia and found them to always offer a reliable service. Overall IPVanish is still our go to provider and if you’re thinking of signing up for a VPN service in 2018 then you could do far worse. Our recommendation? Get IPVanish, you’re unlikely to regret it. However, don’t take our word for it, try them yourself, there’s a 7-day money back guarantee so it’s risk free.